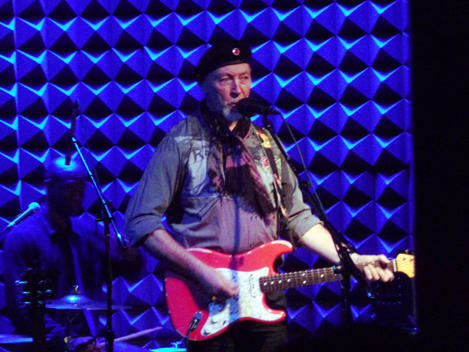 Richard Thompson is an accomplished songwriter and interpreter of other artist's songs. He's also a fine vocalist and guitarist, concentrating on the acoustic guitar in recent years. For his new record, Thompson has returned to the electric guitar, underlining that fact by titled the album Electric. He does play acoustic guitar as well on the new release, but even on the quieter tracks a certain energy comes through. Buddy Miller, acting as producer, and recording Thompson in his Nashville home studio, has a lot to do with that. Electric features eleven tracks, all original Richard Thompson compositions this time out.